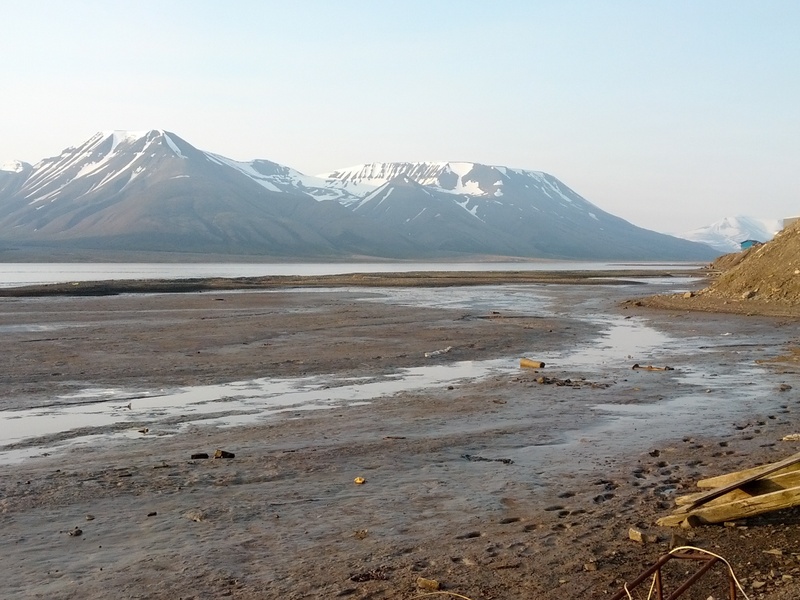 After two flights (London – Oslo, then Oslo – Longyearbyen), we’ve arrived in Svalbard. This is the view from the shack, taken just after we arrived (about 00:30 local time). The midnight sun is very real! The first surprise, we have mobile phone signals and the shack has internet. So, our fears about lack of connectivity were slightly misplaced. Nevertheless, we’re still going to be uploading logs via the Iridium satellite link, and we’ll be doing APRS over HF, because we can. We’ve installed a new 30m dipole. Rob M0VFC is on 30m CW with the shack’s FT-1000MP Mark 5. Steve M1ACB is using the 40-6m vertical to operate 17m SSB with his Elecraft K3. Hugo M0HSW is on 20m using the 15/17/20m beam using Rob’s K3 and a KPA500. My IC-706 is set up as the data station for later on. It will use any antennas that are free. 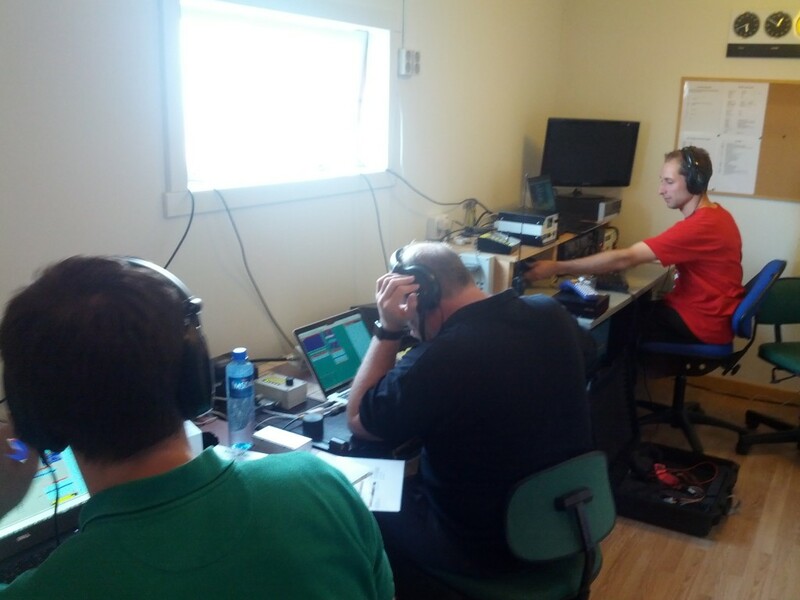 We’ll be on during the IARU contest – we’ll be giving reports but we aren’t entering: with so few bands open this far North and multiple callsigns between us, we wouldn’t be able to be competitive.